Last year I picked up my first GPS watch and for the most part it did what I needed. But for a wristwatch, it was pretty bulky, had more features than I would ever use, the menu system was somewhat complicated, and it cost $600! It also didn’t function well for me as an everyday watch. This spring I saw a new GPS watch being well received by the crew at S&S Archery. 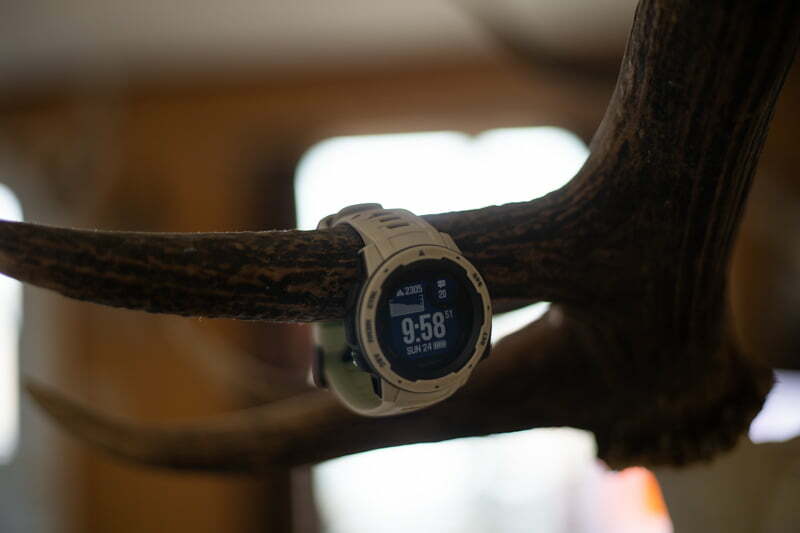 The Garmin Instinct watch, geared for the outdoor enthusiast at a manageable price of $300. I worked with Robby and and S&S to get a review going. It wasn’t long before I had a slightly discounted Garmin Instinct headed my way. While this watch has a multitude of features, there were only a few things I really needed the watch to do. For the backcountry, I needed a reliable altimeter, sunset/sunrise, alarm, ability to see coordinates, mark waypoints and GPS tracking. For everyday use, I wanted the ability to pair with my cell phone to receive and read emails, text message alerts, and answer or decline phone calls. 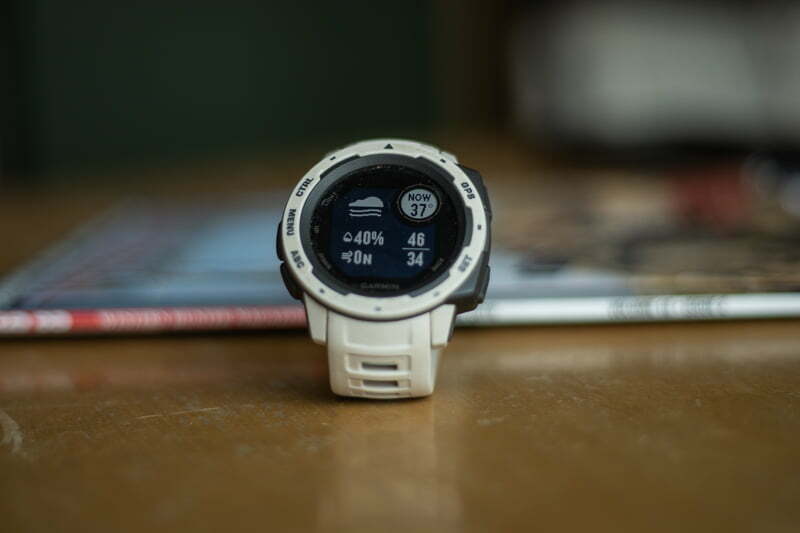 The Instinct watch has a number of other features like a heart rate monitor, thermometer and can track calories burned, elevation gain/loss, and a variety of activities. 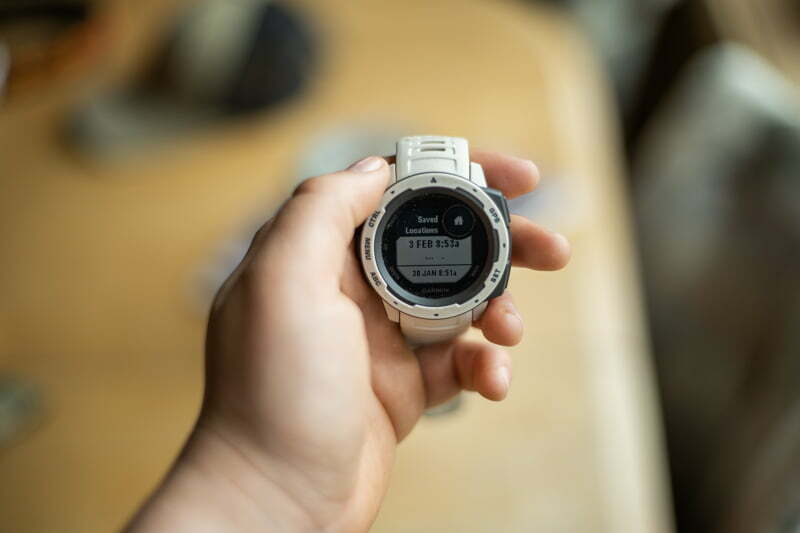 Another feature that will be appealing to the backcountry community is the ability to pair with the Garmin InReach Mini to receive and send satellite messages from the watch. Unfortunately, I have the regular InReach Explorer, which doesn’t pair, so I could not review this feature. Out of the box, I first noticed the lightweight and compact size. My previous watch was bulky and prone to snagging on jackets and random things in the field. The Instinct has a low profile and is a comfortable size for my wrist. The wrist band is a flexible rubbery material that flexes with your movements. A couple of strap keepers slide over the tail of the wrist strap for security, so you don’t have a strap tail flopping around. Another big plus for me was the defined click of the buttons. Over my period of use, the watch face and body have been tough and durable for me with no scratches on the watch face. At the time of purchasing, I wasn’t aware of the ability to customize the buttons on the watch, called Hot Keys. I feel this is an extremely appealing feature because every user can set up the buttons to their liking. I assigned the ABC button to a “button lock” Hot Key. When the ABC button is held down for a few seconds it will lock all of the buttons on the watch to prevent accidentals. The watch features quick access pages, called widgets, that can be quickly scrolled through with the ABC and MENU buttons. Continuing with customizations, the widgets displayed can be added, subtracted or rearranged as you’d like. My widget pages are cell phone notifications, calendar, weather, sunrise/sunset, elevation profile, music control, and heart rate monitor. Any that are subtracted can still be accessed but only through the menu system. 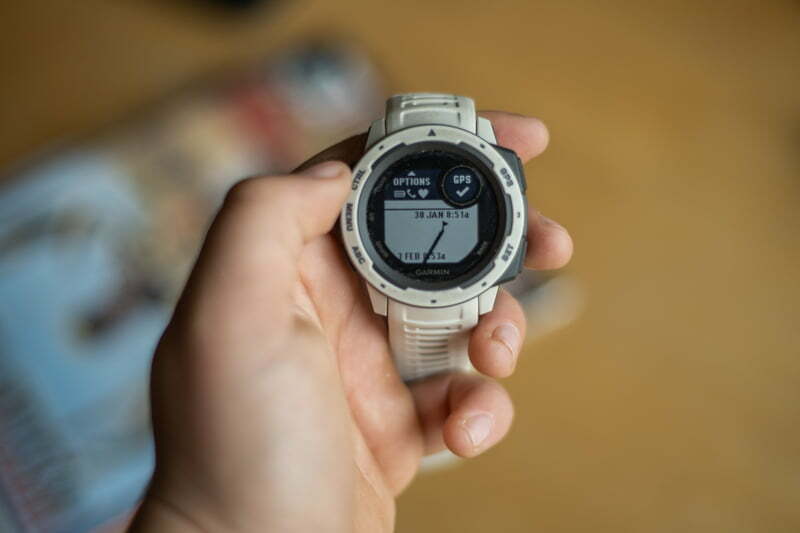 Per the website, the battery life lasts 14 days in the watch’s regular mode, 16 hours in the GPS mode, and 40 hours in the Ultra-Trac GPS mode. Ultra-Trac is a battery saving mode for the GPS. I’ve never used that mode because the GPS accuracy takes a hit, but it is an option for battery saving in a time of need. Since I recieved the watch in Decemember, I have recharged it around eight times and the two-week battery life has not weakened. I wish the watch charged via a mini USB cord, but the charging cord is a special cable for the watch. On long trips, I can bring the cable along and charge the watch with a portable battery pack. I haven’t used the GPS mode for 16 hours straight but have used for a couple of hours at a time. I’m very happy with the battery life but my only gripe is I wish the display showed a battery percentage instead of only a battery level. The watch also lets you easily power off, so during the night you can power it down to conserve battery life. 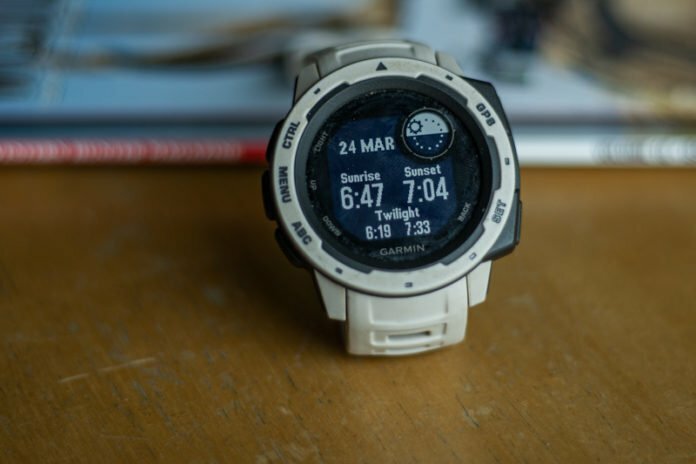 The altimeter feature is one of the biggest reasons I carry a watch like this in the backcountry. I love being able to look at my wrist and see what elevation I’m at. Using an altimeter is also great for an additional marking tool, such as knowing your camp’s elevation, so when you’re returning you can go to that specific elevation and sidehill around to camp. This lessens the need to follow your GPS back. One issue to be aware of with altimeter features in a watches is that most work off of the barometric pressure. Because of this, you may mark your camp at 9,800 feet but the next day your altimeter may say 9,600 feet because the altimeter is adjusting with the barometric pressure changes. Luckily, the Instinct allows you to change the settings so the altimeter isn’t tied to the barometer. You’ll need to go to main menu -> settings -> sensors & accessories -> barometer -> watch mode -> change from auto to altimeter. This makes the watch only factor in the elevation gain and loss into the altimeter reading and will not factor in barometric pressure. From there, back out of the barometer and select altimeter. There you can calibrate by inputting your own known elevation or you can use the GPS to calibrate. I’ll quickly add another feature while we’re near the barometer setting. Under barometer, you can turn on, and adjust, the storm alert settings. When your watch senses a large change in barometric pressure, the storm alert will sound. Aron Snyder says this feature even helps him anticipate his migraine headaches. In my short time researching the watch before purchasing, I wanted to know GPS accuracy. I feel there are a number of factors in GPS accuracy and I shouldn’t expect to be within inches of a waypoint with a wristwatch, but of course, want to be close. One thing I kept reading was that adding the Galileo satellite system seemed to help with acquiring a signal and accuracy. You can change this while setting up each GPS activity. I have one activity setup that I call “hike”. Within that activity, I can customize things like which data screens I want available, certain alerts I want, background color and GPS systems. This is where I change the GPS setting to GPS + Galileo. I have run those settings since I got the watch and haven’t had any major accuracy issues. When in a tracking mode the watch records a number of things such as elevation gain and loss, distance traveled, speed and route taken. Another feature I use during the activity modes is TracBack. This feature guides you back to the starting point exactly the way you came in, essentially backtracking. Accessing your waypoints saved is also simple and customizable. 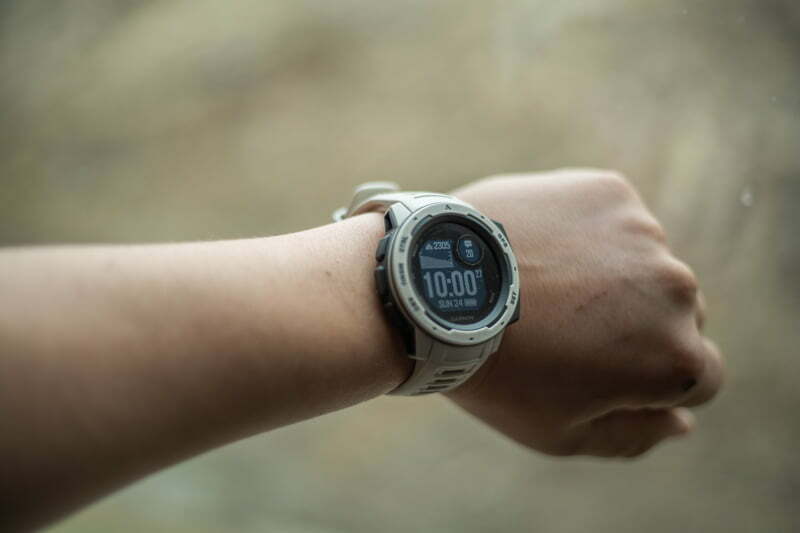 Don’t forget to set your watch’s Datum and format settings to match with your, or partners, other GPS devices and maps: Menu -> Settings -> System -> Format -> Pos. Format. 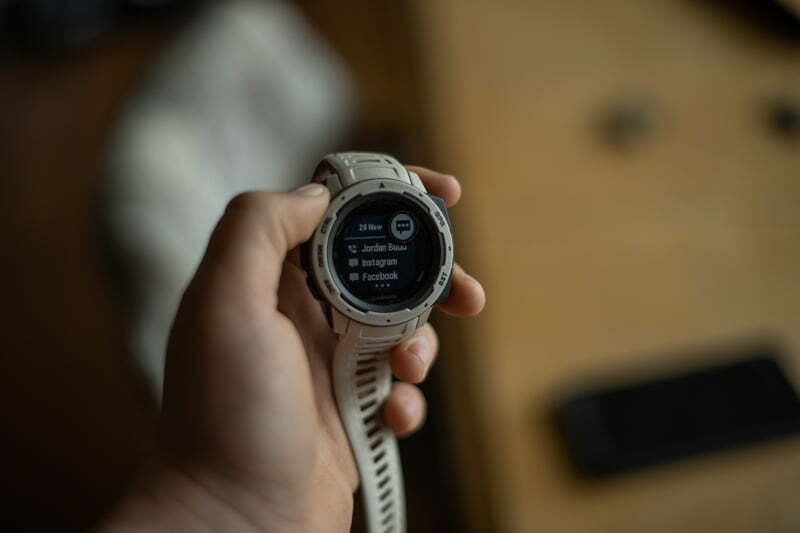 There are a couple of phone applications that I use with the watch, Garmin Connect and Garmin Explore. Garmin Connect is the “master” app between the watch and the cell phone. Paired with Bluetooth your watch automatically syncs to the Connect app to display a variety of data like heart rate, steps taken, floors climbed, stress level, sleep monitoring data, and calorie tracking partnered with My Fitness Pal. 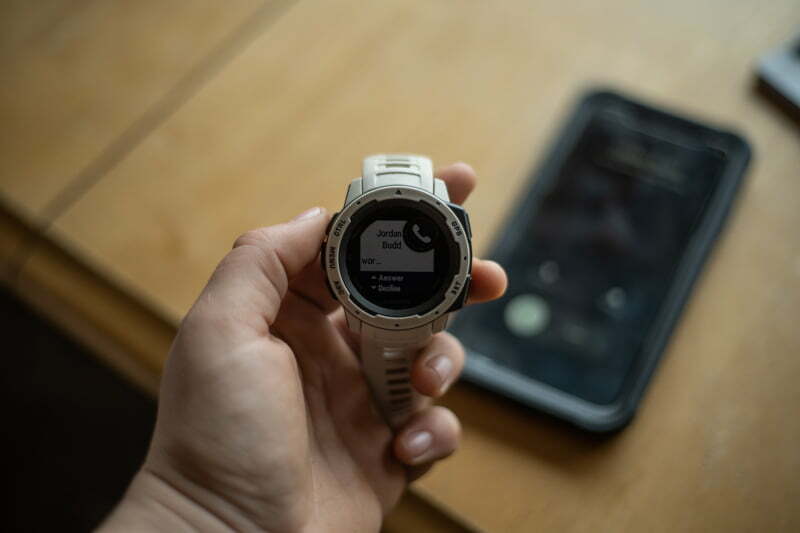 Garmin Connect is on the web too, so your watch will pair with your phone app and the app will pair with the main website for additional information. An additional and very helpful app is Garmin Explore, a mapping app. This application is very similar to Garmin Earthmate, which pairs with the Garmin InReach devices for mapping and messaging. The Explore app allows you to create waypoints and routes from your cell phone that then sync and appear on your watch. A huge positive for the Instinct watch for me. I am pleased with the everyday features of the Instinct watch. Incoming calls, texts, emails, and alerts come through on the watch. You can display missed calls and read entire text messages, including Instagram and Facebook messages! The weather widget is also a handy feature, although I don’t understand how it’s receiving its weather. Once in a while what my phone weather application shows was different than what my watch displayed. The next feature that I use a lot is the music control widget. Whatever music you have playing on your cell phone can be paused, played, and track skipped with the watch. This is great when in the gym or away from your phone. The watch tracks your steps taken, floors climbed, and your heart rate, but without additional accessories paired with the watch for those activities, I wouldn’t count on those features being very accurate. Wrapping up with this review, I am excited about this Instinct watch and will recommend to almost anyone. 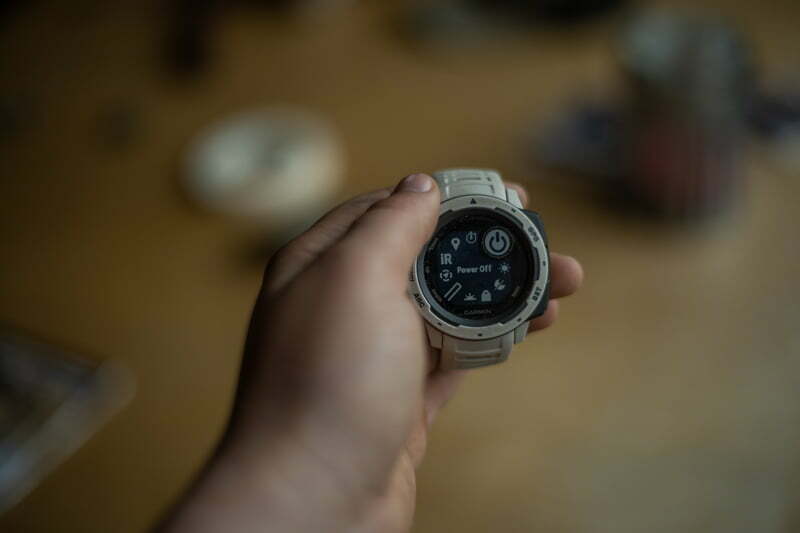 The next step up from the Instinct watch would be the Fenix 5x watch for $799. The Fenix is equipped preloaded with full-color TOPO mapping along with a multitude of other features so if that’s something that interests you give it a look. 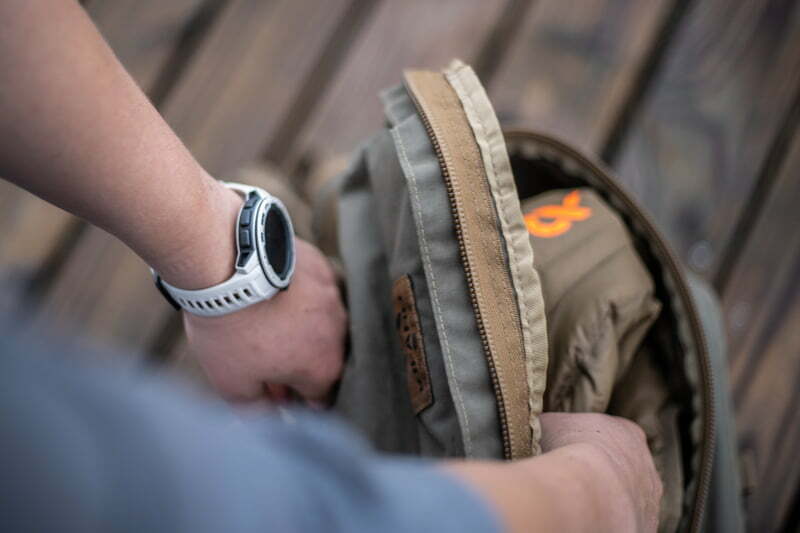 For the features and durability of the Instinct watch paired with the price point, I feel this watch is tough to beat for the backcountry hunter. 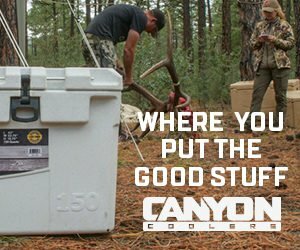 Retail price from S&S Archery $299.99 in six colors. Black, Tundra (white), Flame Red, Sea Foam (light blue), Lakeside Blue (dark blue) and Sunburst (yellow).